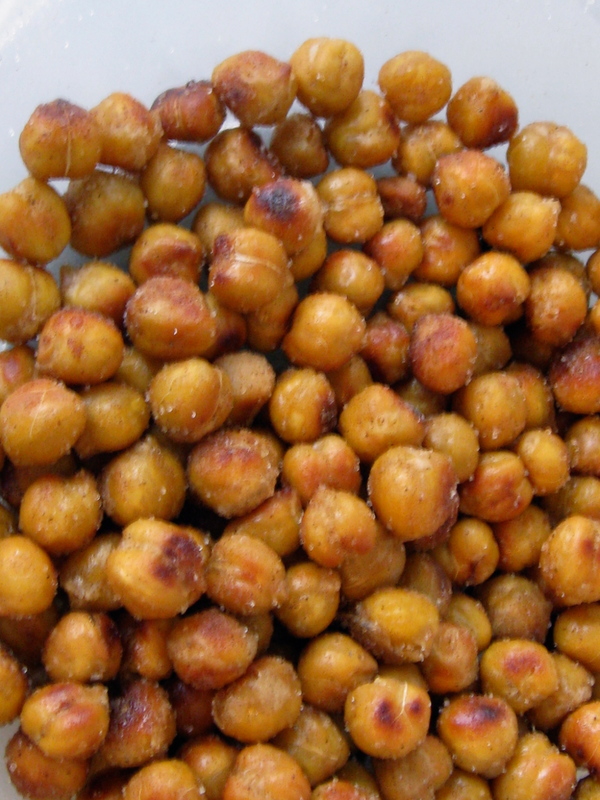 Although Garbanzo Beans or Chickpeas can be a challenge to grow in the garden, they are readily available in the grocery store either canned or dried. I think the main problem I had with my success in growing the beans last summer was the location I picked to grow them. It wasn’t a good choice – very heat intensive and it was a HOT one down south! I did manage to produce about a handful for harvest so at this point I won’t be growing them again any time soon. They sent up a long stem and only one or two pods (with one bean each) grew on each stem. Regardless of my not so successful harvest … I absolutely love Garbanzo Beans! 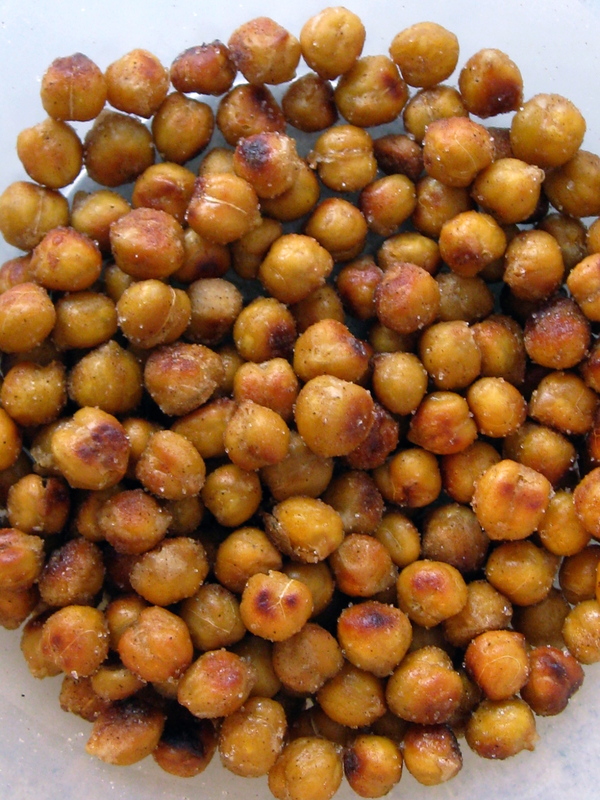 I could eat them right out of the can in a salad or toasted in the oven nice and crispy crunchy! I thought for a nice snack I would add a little sweetness and they came out pretty good! Rinse and drain the beans – toss them with the olive oil and sugar and then spread out on a cookie sheet. Toast them in the oven at 350 degrees for 40-45 minutes stirring a few times so they will not burn. Once roasted, remove from the oven and toss with the other dry ingredients. If you don’t have chai mixture or there is some other combination you would like to try … nutmeg, allspice – give it a try! Head on over to Munchie Monday and share a recipe and browse through recipes added by others. Stay healthy!